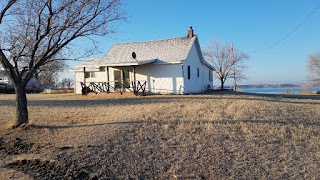 Recreational hotspot for sale located at 44 Millionaire Mile Fort Peck Lake, Montana! The 1,184 square foot cabin is under construction and sits on a .99 acre lot! The new owners can expect gorgeous views of the lake and easy access to recreational hot spots. This lake property has location, location, location! Not far from the Missouri River, Bear Creek Bay, UL Bend National Wildlife Refuge or the Duck Creek Recreation Area. Call Helland Agency for a showing today at 406-228-2114! Priced at $250,000.